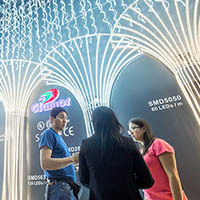 Hong Kong is rapidly building up a solid reputation as one of the world’s leading technology hubs, with the Center for American Entrepreneurship describing the city as an advanced global start-up hub [https://hkmb.hktdc.com/en/1X0AFHST/inside-china/China-Chases-America%E2%80%99s-VC-Crown]. 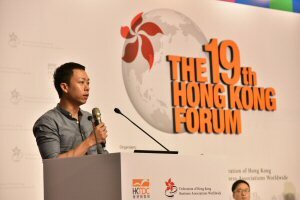 The Hong Kong Forum, hosted by the Hong Kong Trade Development Council (HKTDC) and Federation of Hong Kong Business Associations Worldwide (FHKBAW) earlier this month, focused on technology start-ups; several speakers said they had chosen to base themselves in the city because of its inclusion in the Guangdong-Hong Kong-Macao Greater Bay Area. 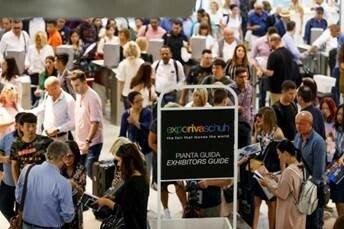 Eric Gnock Fah, COO and co-founder of in-destination travel booking site Klook (“Keep Looking”, see “Hunt for Alpha”), said the firm had its headquarters in Hong Kong but most of the engineering staff are based in the city’s high-tech research, development and manufacturing hub neighbour, Shenzhen. This division of function – the Hong Kong headquarters taking care of finance, marketing and international relations while Shenzhen takes care of development – is a common feature for many Hong Kong firms. Many speakers at this and other events expressed similar views. 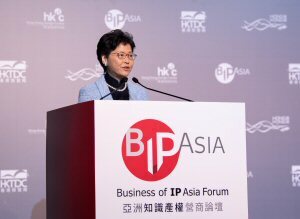 Speaking at the opening of the HKTDC’s Business of IP Asia Forum, Carrie Lam, Chief Executive of the Hong Kong Special Administrative Region, said the essential pairing of intellectual property (IP) and innovation is driving business growth and improving quality of life all over the world. The Greater Bay Area links the special administrative regions of Hong Kong and Macao with nine adjacent cities in Guangdong province, including the provincial capital Guangzhou. The region is diverse, with its members ranging from Macao – which covers just 31 square kilometres but leads the region in terms of per capita GDP, at 623,000 patacas (US$77,400) – to green Zhaoqing which covers 14,891 square kilometres and has per-capita GDP of Rmb54,000 (US$7,816). 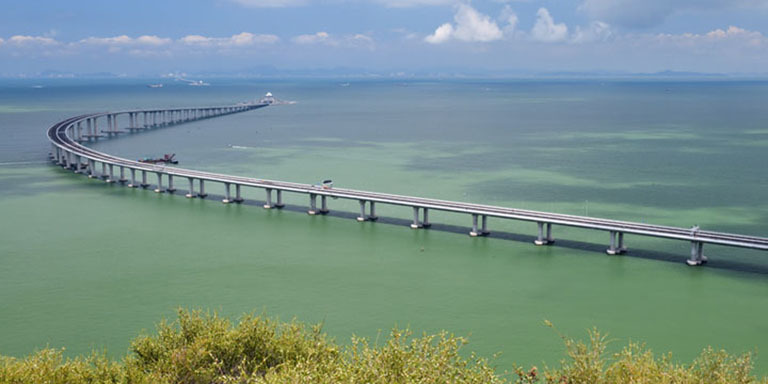 Each city brings unique elements into the mix to create a world-leading bay area – in the case of Macao its tourism and culture, while Zhaoqing concentrates on manufacturing, agriculture and forestry. The other Guangdong cities in the region are Jiangmen, Zhuhai, Foshan, Zhongshan, Dongguan and Huizhou. 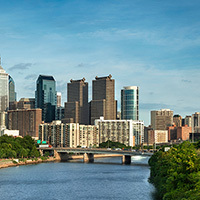 Covering 56,100 square kilometres and with a population of 70 million, the region aims to develop along the lines of Tokyo, San Francisco and New York. The Greater Bay Area’s GDP, at about US$1.5 trillion, makes up more than 12% of Mainland China’s overall GDP despite the region holding just 5% of the population. 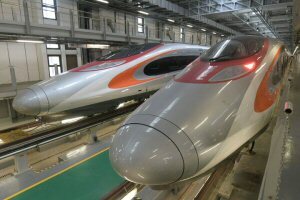 In order to improve integration within the region, the Hong Kong and mainland governments have just launched two gigantic infrastructure products – the Hong Kong-Shenzhen-Guangzhou Express Rail Link and Hong Kong-Zhuhai-Macao Bridge. These developments bring much of the Greater Bay Area within just one hour’s travel of Hong Kong. 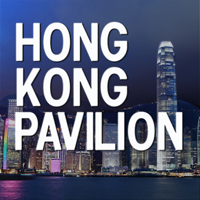 In addition to the city’s traditional strengths – finance, transport and logistics and professional services – Hong Kong seeks to play a key role in the Greater Bay Area’s drive to become the next Silicon Valley, with a strong focus on innovation and technology (I&T). President Xi Jinping said Hong Kong has a solid science and technology background, and that the country will support Hong Kong’s efforts to turn itself into global I&T hub. 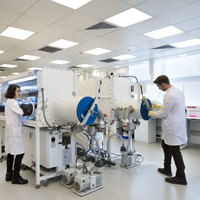 Hong Kong and Shenzhen are establishing a joint technology park on their border and aim to attract top-tier enterprises, research bodies and higher-education institutions from around the world. 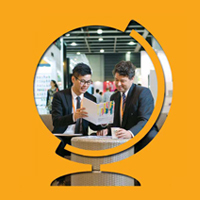 HKTDC has played a key role in helping Hong Kong businesses set themselves up in the Greater Bay Area. Success stories include that of Li Hoi-wing, who heads Wowwoo Catering, one of the 10 winners of the 2018 Start-up Express competition. Wowwoo uses trendy eateries to bring traditional Hong Kong street food to Guangzhou. 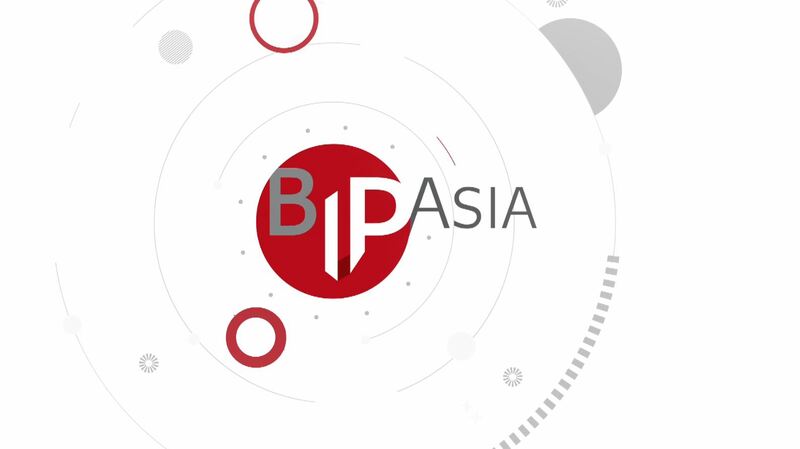 Prizes for the competition winners included missions to Greater Bay Area cities, giving Hong Kong start-ups a chance to see the business opportunities the area offers.